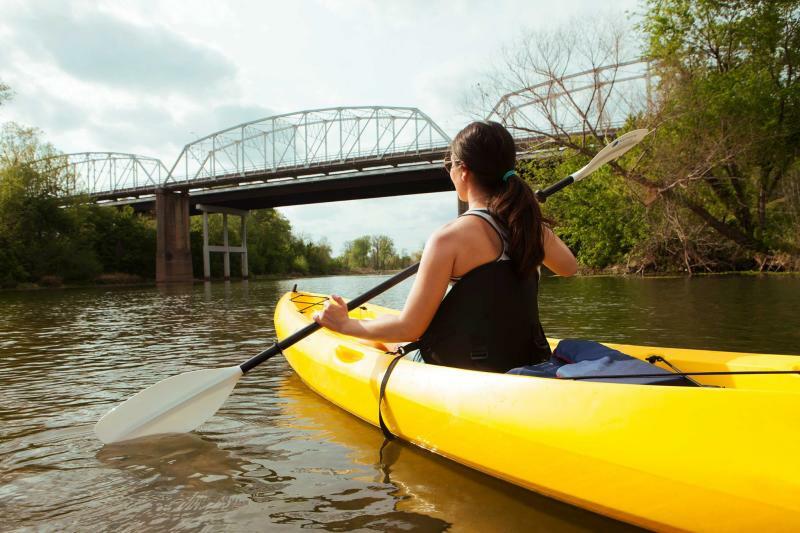 Bastrop offers an abundance of outdoor adventures thanks to its perfect location on the banks of the Colorado River. 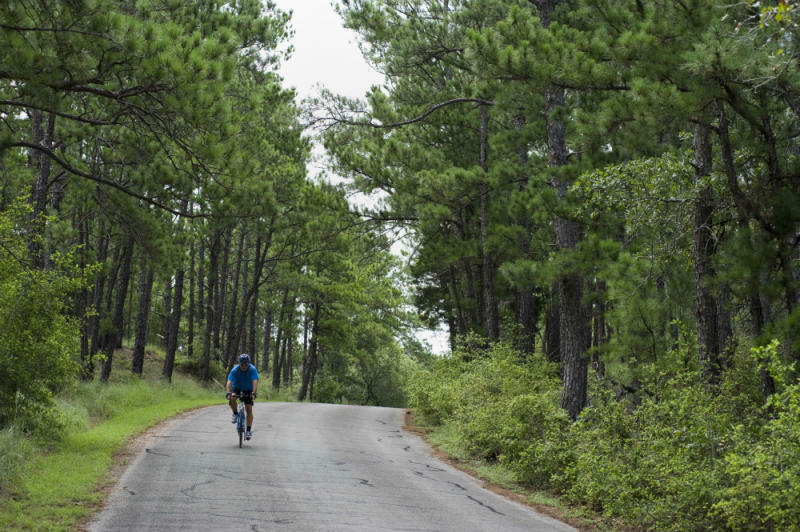 Whether you’re into hiking, bird-watching, kayaking or camping—when you visit Bastrop, you’ll feel welcomed. Welcome To It All! Bastrop is home to the famous loblolly pine trees, or “Lost Pines.” These trees are unique to the Texas Lost Pines Forest and are thought to have originated during the Ice Age! Explore this piece of natural history at Bastrop State Park. 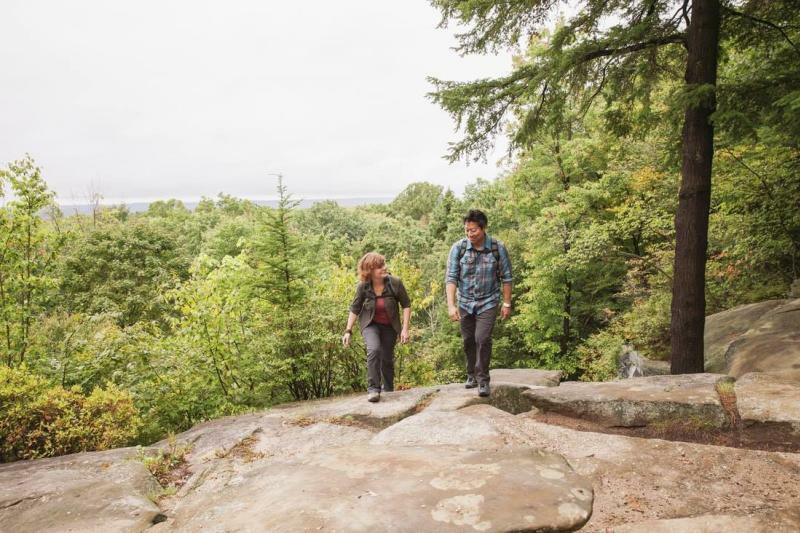 The park covers nearly 6,000 total acres, so you can make a whole camping trip come to life. 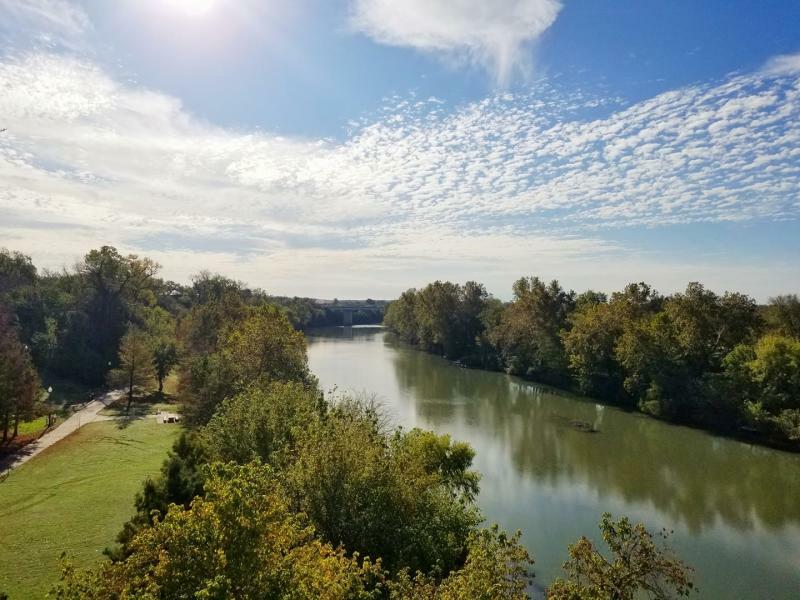 Go canoeing, swimming, golfing, wildlife viewing, or hiking, and camp at one of the park’s various campsites or historic cabins (built by the Civilian Conservation Corps during the 1930s). Explore the rolling box canyons, wildflower meadows, lazy river bends and diverse wildlife at McKinney Roughs. Check it out by foot, horseback or take a guided raft or kayak trip. The park also hosts interpretive hikes guided by naturalists, native animal presentations and other community programs. Let your worries drift away as you glide with the flow of the slow-moving El Camino Real Paddling Trail! Go fishing for Guadalupe bass and flathead catfish, or simply enjoy the wildlife along the river. Keep your eyes open to spot Great Blue Herons, Red-shouldered Hawks, or kingfishers perched between the pecan and elm trees. As the river moves downstream, the banks steepen and become very scenic with high sandstone bluffs and cliffs. 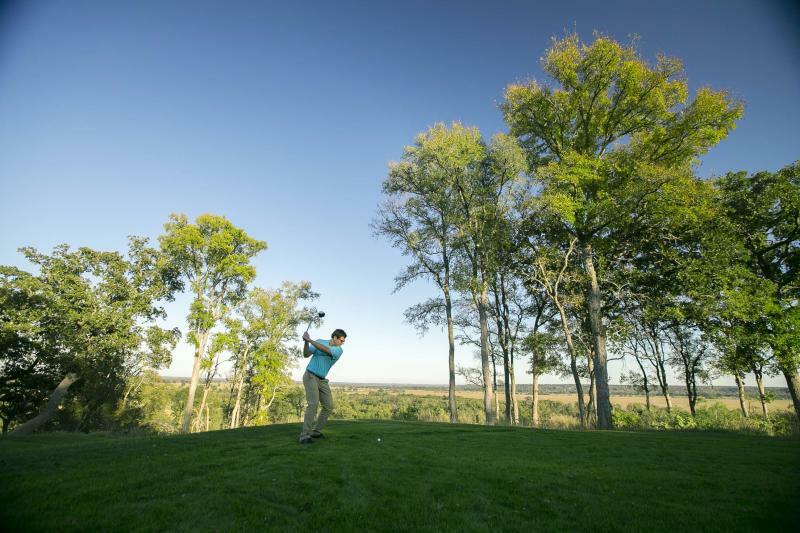 Bastrop’s stunning natural environment creates a perfect backdrop for a round of golf. With a range of unique golf courses like Hyatt’s award-winning Wolfdancer golf course (designed by Arthur Hills), ColoVista Golf Club and Pine Forest Golf Club, you’re in for a one-of-a-kind golfing experience in Bastrop. 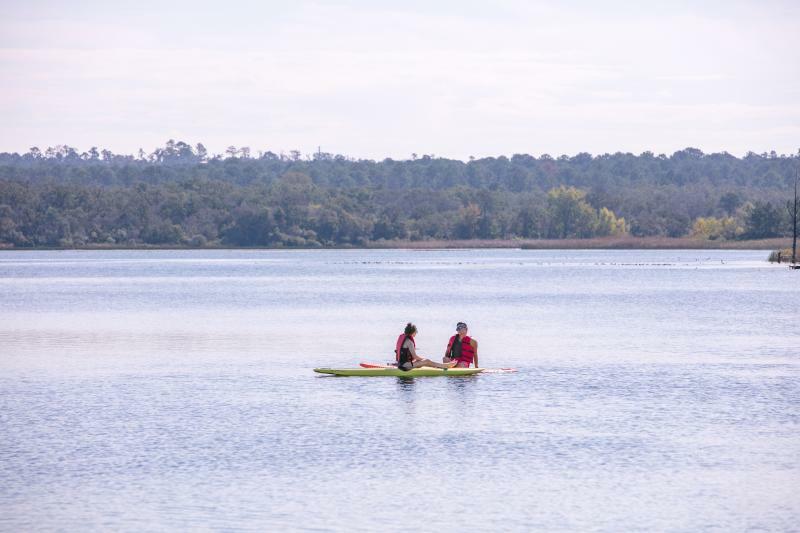 For a more daring adventure, let Rising Phoenix Adventure Tours and Events or Bastrop River Company set you up with a complete and memorable water-sports or biking experience. Or embrace your inner child at Hero Water Sports, an inflatable water park on Lake Bastrop. If you prefer to explore the outdoors from above, try zip lining at Zip Lost Pines or rock climbing at McKinney Roughs. Bastrop is also home to unique events like outdoor survival skills classes and challenge courses, so keep an eye on our events calendar. When in Bastrop, you don’t have to go far to catch a break in a beautiful outdoor setting. As you’re exploring the adorable shops and galleries of downtown Bastrop, make a quick jaunt over to Fisherman’s Park to stroll along the river, rent a canoe or kayak, or take the family to the kiddie splash pad and playground. When you’re done, you can quickly pop back to town without missing a beat. We know all the outdoor activities make you hangry, so book your stay to end your adventure-filled day with a mouthwatering meal and a much needed good night’s sleep.